20/20 vision is a measurement of visual acuity. 20/20 visual acuity means that a person can see small detail from 20 feet away the same as a person with normal eyesight would see from 20 feet. If a person has a visual acuity of 20/40, he is said to see detail from 20 feet away the same as a person with normal eyesight would see it from 40 feet away. Dutch ophthalmologist, Herman Snellen developed Snellen visual acuity in 1862. Snellen visual acuity is measured as a fraction and is represented as the distance at which the test is performed over the distance at which the smallest optotype identified subtends an angle of 5 minutes of arc and the detail of that optotype subtends 1 minute of arc. An optotype is a standardized letter, shape, picture or number used to show the subject whose visual acuity is being measured. 20/20 vision is considered normal but it does not necessarily mean perfect vision. Having 20/20 vision only indicates the clarity of vision at a distance. It says nothing about the quality of vision and skills need to have good vision such as eye-hand coordination, accommodative ability, depth perception, peripheral vision, or color vision. Furthermore, having 20/20 vision does not necessarily mean your eye is healthy. One can have severe glaucoma but still retain 20/20 central vision. Also, one can be farsighted, but still measure 20/20 visual acuity with no glasses on. Farsighted people sometimes have the ability to focus harder and compensate for the farsightedness. However, holding it there for a long period of time is exhausting and eventually, vision becomes blurry. 20/20 vision is considered normal vision. It is possible to have vision superior to 20/20: the maximum acuity of the human eye without visual aids (such as binoculars) is generally thought to be around 20/10 although a few people have been recorded having 20/5 vision. "Tumbling E" Visual Acuity Chart: How do you measure visual acuity in someone that can't speak or maybe just too shy to speak? The Tumbling E chart uses the same measurement scale as the typical Snellen Eye Chart. However, all of the optotypes used on the chart are a capital E but displayed in different orientations. In this case, a person being shown a letter to read on the eye chart can simply use his or her fingers and show the tester what direction the E is pointing. LEA Vision Test: The LEA test is a visual acuity test designed for children who can not read letters. The test uses for optotypes: an apple, a pentagon, a square, and a circle. The test uses these common symbols so that visual acuity can be measured at a much younger age. 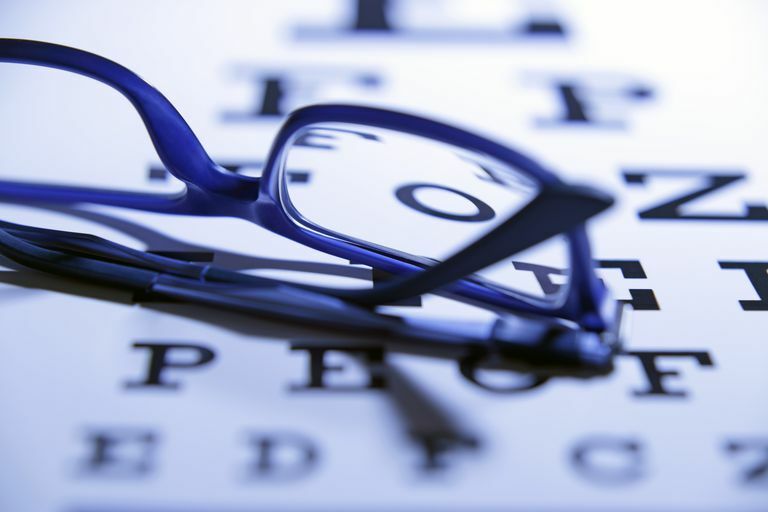 Jaeger Eye Chart for Near Vision: If you have had an eye examination, you may have been shown a Jaeger eye chart to test your near visual acuity. The Jaeger chart is a small handheld chart that shows blocks of text in various sizes. Instead of using the term 2/20, The Jaeger chart uses a scale that ranges from J1 to J11. J2 is usually considered equal to the typical 20/20 measurement. The chart is usually head between 12-16 inches from your eyes.